Samples after 5 minutes in the lab centrifuge. Left most sample is the control. 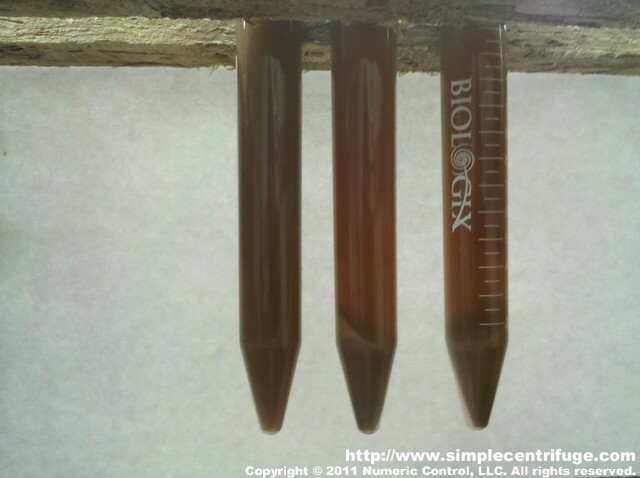 The right two samples have been centrifuged. You can see a lot of particulate has dropped out. The color is notably lighter.